The forum in Victoria was the third event in a two-year NEADS' Job Search Strategies Forums Project, addressing practical aspects of successful transition from school to the employment market. Delegates represented a number of colleges and universities in British Columbia, and some students with disabilities attended from high schools. Student participants were attending the following post-secondary institutions: University of Victoria, Camosun College, Kwantlen College, University of British Columbia, Simon Fraser University, University College of the Fraser Valley, Thompson Rivers University and the University of Northern British Columbia. Altogether about 65 people took part in the day-long employment session: students, graduates, service providers, employers, career counsellors/professionals and representatives from non-governmental organizations. The NEADS Victoria Job Search Strategies Forum included two workshop panels, an exhibit area, and one-on-one resume consultations with career counsellors or HR professionals over the lunch period. 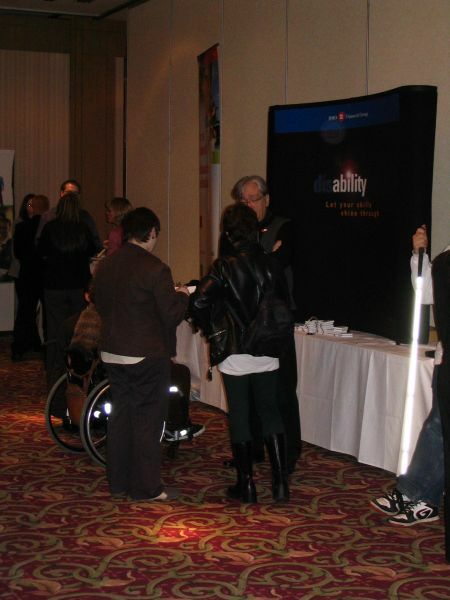 The exhibit area included displays and representatives from: BMO Financial Group, Alliance for Equality of Blind Canadians, Link Up Employment Services for Persons With Disabilities, Triumph Vocational Services, TD Canada Trust, Victoria Disability Resource Centre, WorkAble Solutions, and Service Canada (www.youth.gc.ca). Rachael Ross welcomed both new attendees and many familiar faces to the third NEADS Job Search Strategies Forum. 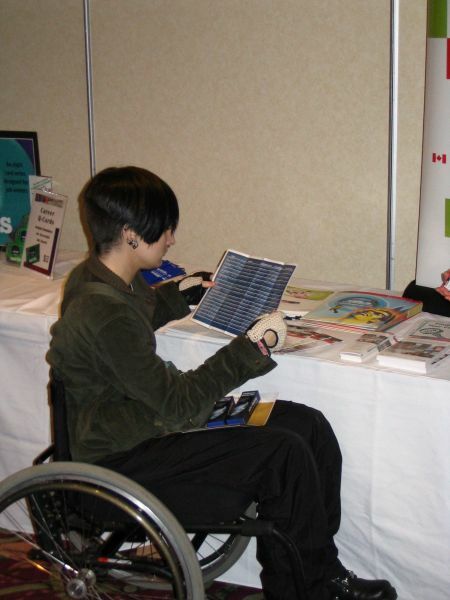 She then reviewed the structure of NEADS, which is a consumer-run organization that advocates across Canada for access to post-secondary education and employment for people with disabilities. Jennifer Dillon began her short presentation by acknowledging BMO Nesbitt Burns as a supporter of the NEADS Job Search Strategies project through its Equity Through Education program. During the series of forums that constitute the project, issues related to the transition from school to career for post-secondary students and graduates with disabilities are being spotlighted. A successful passage to the world of work is vital for people with disabilities with higher education, and the forums focus on practical techniques for success in today's employment market. 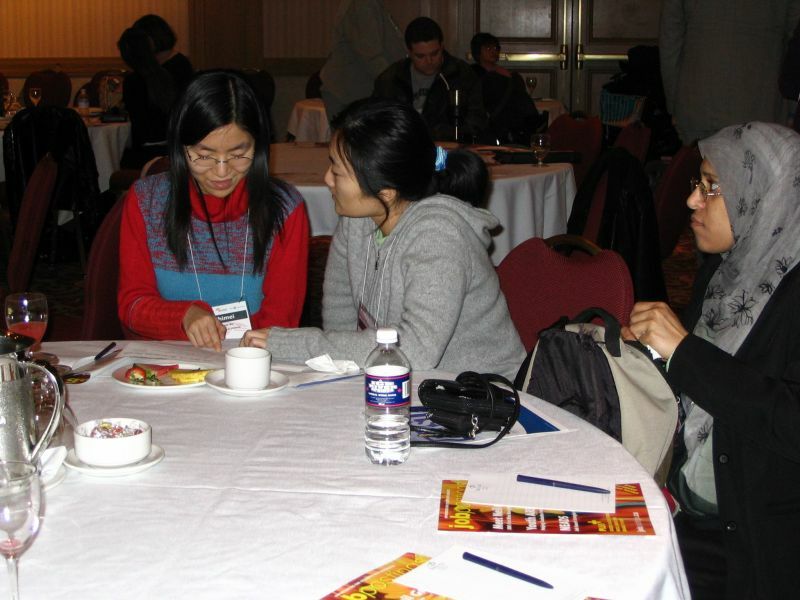 Four more forums are planned for the next 15 months: Montreal, Québec, March 18, 2006; Halifax, Nova Scotia, October 2006; Winnipeg, Manitoba, February 2007; and St. John's, Newfoundland, April 2007. 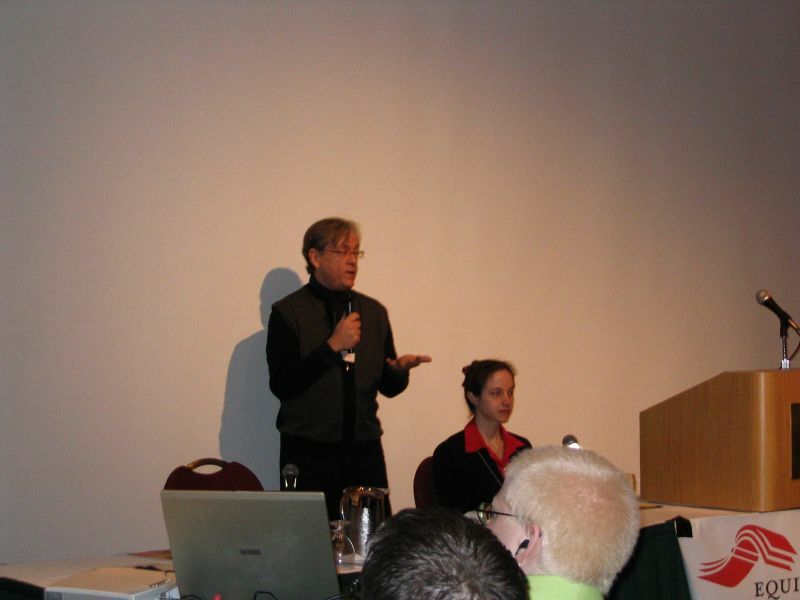 A related workshop will also be conducted at the NEADS' national conference in Ottawa, Ontario, in November 2006. 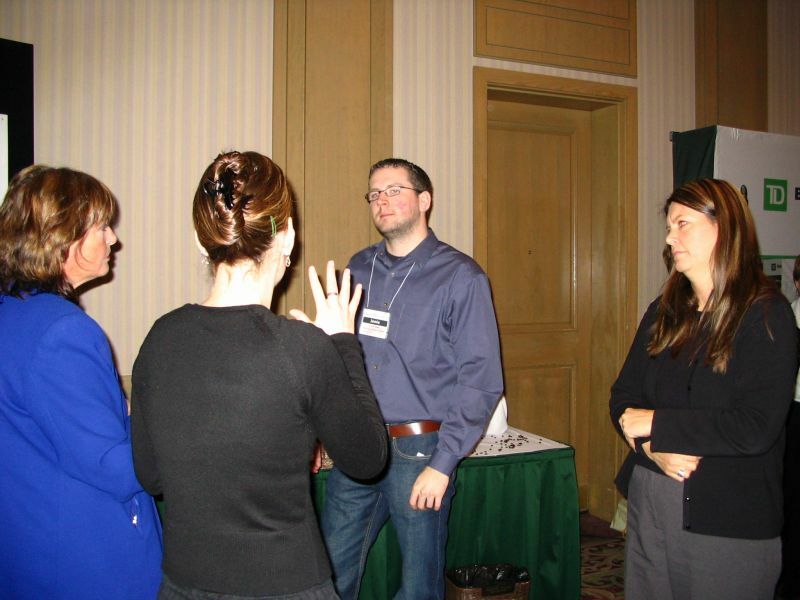 Looking around the room, Michael Bryden drew attention to the numerous dedicated individuals who had ventured out in a windstorm in Victoria to learn about job search strategies. He then spoke about the relationship BMO Nesbitt Burns and NEADS have maintained for several years. In 2002, senior leaders at BMO Nesbitt Burns created a Diversity Council to identify workplace barriers faced by women, visible minorities, Aboriginal people, and people with disabilities. Part of the council's work was to educate colleagues about adaptive technologies for people with disabilities-for example, Interpretype. Bryden noted that, although each member of the council is committed to a diverse workforce, the reality is that no one is exempt from playing a part in encouraging diversity. Moving on to address attitudinal barriers as well as practical ones, BMO formed the Equity Through Education program in 2004-and demonstrated that a small group of people can indeed change the world. The company donated 100 per cent of one day's institutional trading commissions-Can$1.6 million on May 11, 2005-to three American and four Canadian recipients. NEADS was one of those recipients. BMO Nesbitt Burns is delighted to support NEADS, Bryden said, because the organization is run for students by students, and because it so successfully expresses the real voices of students with disabilities. He wished all forum participants personal and professional success in developing their own strategies. Dillon expressed her pleasure at seeing students, service providers, and employers at the forum. Participants should recognize that the job market is challenging, she said, but she also indicated her hope that they would find the information provided during the forum useful. The rest was up to them. "Practice networking. Be open to feedback. Then write it down, and ask questions," she told participants. "Get involved." Stephen McDonnell told participants that he has worked at BMO Nesbitt Burns for 20 years, and that he is proud of the company's spirit of inclusion. The company has "seen it all and accommodated everything," he said. They even built a "sleep room" for one staffer with narcolepsy (although he has to make his own bed, McDonnell noted). Disability is part of aging. And given that 60 per cent of Canadians will develop a disability by the age of 60, how, then, McDonnell asked, could BMO not include people with disabilities? McDonnell himself developed a disability three years ago. If anyone asks him to lift anything today, he cannot. In fact, BMO has examined accessibility issues since 1992, when it created a task force on education issues and job search strategies. The company discovered a prevalent but erroneous notion that people with disabilities cannot do the job or are suited only to a certain kind of job-for example, blind people always worked in newspaper kiosks. The task force also found that 80 per cent of accessibility can be achieved at little cost. Take, for example, employees with reading disabilities. Twenty years ago, they would not have been able to find work outside of a factory. But at BMO, one such employee was given Kurzweil (a software program that assists blind people to read), and that employee went on to generate more than $1 million in sales. At the outset of a job search, McDonnell told participants, they must remember the four Ps: preparation, participation, practice, and perception. Job seekers must know what they have to offer and must be clear on their abilities. They should also assemble a "success team" of four or five people from among other graduates and professors. Include one person who is irksome-who might, for instance, tell a job seeker to get a haircut-because that advice is also valuable. Ask the team for help writing a resumé. Conduct mock interviews with them and get their feedback. McDonnell talked about the perfect resumé, an important marketing tool that should create a strong positive impression. Besides an up-to-date inventory of experience, skills, and achievements (including summer jobs and volunteer and mentoring experience), the resumé should contain a summary that states the job seeker's objectives. The best resumés focus on abilities and contain information related to employment only. It is important to know that most major companies never actually touch paper; resumés are scanned and entered into a database. McDonnell advised participants not to waste money on special paper or "fluffy attachments." Instead, highlight abilities, and keep the resumé clear, simple, and error-free. 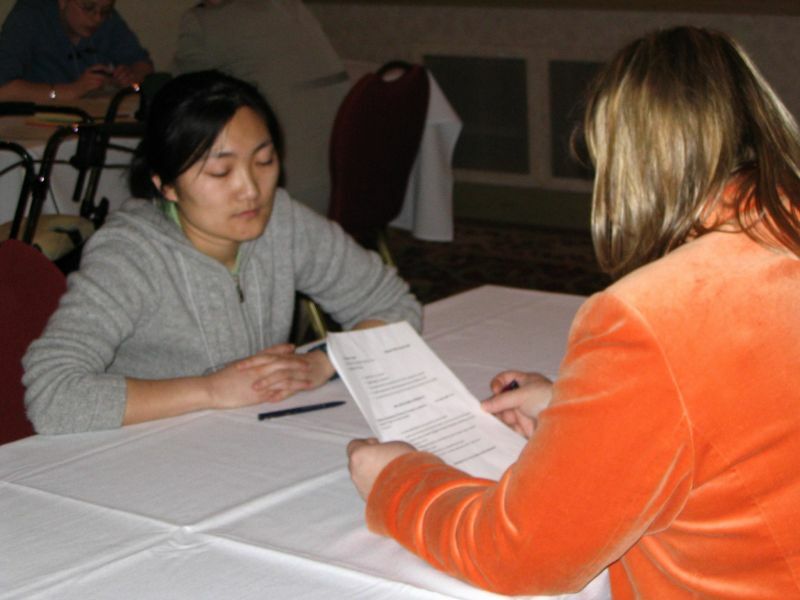 When applying for jobs, applicants should find out as much as possible about the company. Reading the corporate literature will lead to an understanding of the organization's structure. Get the annual report and what is now called the "corporate social responsibility document" in an adaptive format. Search the Internet to discover the kind of press coverage that the business has had. McDonnell advised participants also to consider the company's values: "If you can't find articulated corporate values, why do you want to work there?" The organization should demonstrate that it cares about its customers and that it treats its employees with respect and dignity. It should also be accountable and innovative. 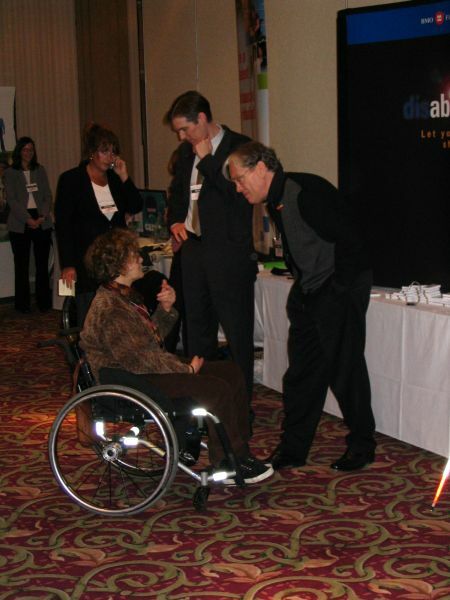 Consider whether to disclose a disability before the interview. Find out whether a pre-interview tour of the premises is a possibility, and rehearse getting to the building. Prearrange accommodation needs. Attend to appearance: wheelchairs covered in flags and stickers create an unfavourable impression. Finally, said McDonnell, once in the job, perform. Ask for regular job performance feedback, and commit to continuous learning. "Above all," he said, "don't become anyone's puppy. Don't be patronized." "Disability is a state of mind," said Ruth Meta as she explained that LinkUp works with people who have self-declared disabilities. The question of whether to declare disabilities to a potential employer is very personal. This important and complex decision depends greatly on the individual and his or her situation. Some disabilities are obvious and others are not, but Meta noted that the question of how much and when to declare remains the same. Interviews often end with "Do you have any questions?" and that might be a good time to disclose. In some cases, Meta said, complete disclosure might be an asset, as is the case with many non-governmental organizations-for example, the BC Epileptic Society. When interviewees are trying to decide how much to declare beforehand, Meta suggested that they role-play the position of the prospective employer, remembering that, after all, the employer is looking for a skill set. She advised participants in the forum that, if making the decision to disclose is troubling, they can control the information they release, unless it becomes obvious during the interview that they must tell. However, in the end, disclosure will vary from person to person. No matter which course job seekers take, they should always focus on their skills. How do people react to the disability? In other situations, when does it become comfortable to disclose? What misconceptions might the employer have? What is known about the prospective employer's attitude? Will disclosure help reach the goal of getting the job? Phillips concurred with Meta that job seekers should role-play and focus on their skill sets. She also advised them to be positive, to prepare themselves to address the employer's concerns, and to try to anticipate the employer's reaction to disclosure. She concluded with the reassurance that "the right work situation is there, waiting to be found." Saying that she was happy not to be sailing during one of Victoria's worst windstorms, Wendy Harris tackled the issue of labour market information and how people with disabilities can put that information to work for them. 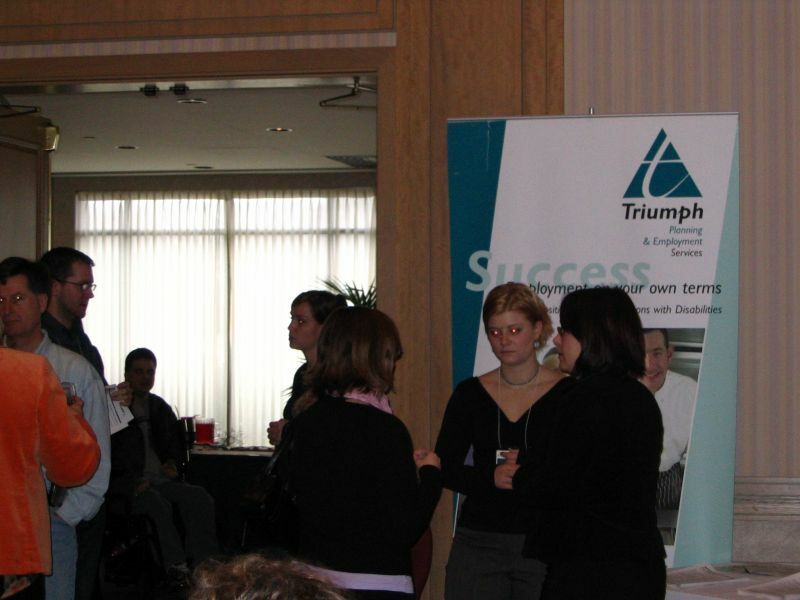 Triumph Vocational Services, she told participants, is a service program that helps people with disabilities get into the job market in British Columbia. The question is how to make sense of that market. Labour market research is important, she said, because job seekers need to understand the current changes in the work environment. The Canadian economy is restructuring, and job seekers must align their expectations with the opportunities available in the marketplace. Research is a tool for self-assessment, Harris noted, and one that can also be used for occupational exploration, making sure that one's current path is the right one. In today's market, skills security is more important than job security. Harris told participants that she had found inspiration that morning in a slogan on her cereal box, which said "To get in shape, it's not that complicated." The same is true of today's labour market, said Harris. The key is to see the big picture. Learn about globalization in trade, innovations in technology, industrial shifts, current events, and demographic predictions for the next 10 years as baby boomers retire. Realize that the workplace is shifting toward non-standard employment: part-time, self-employed, on-call, and casual work. Harris then listed the top occupational growth areas in British Columbia: food, accommodation, and retail management; engineering; computer programming; nursing; community and social service work; graphic art; and film and television production. Harris recommended that job seekers build the foundation of a job hunt by first collecting information, because information is power. Collect it from all available sources-television, radio, websites, job search centres, libraries, and municipalities-and then visualize doing the job. Gain experience in any way possible, be it in a volunteer position or by job shadowing. Applicants must be flexible, adaptable, willing to learn, and creative-especially in today's market. The Internet holds a wealth of information, said Harris, but it must be effectively used. Start broad, with a global search, and then get specific, with a local search. Practise online research skills. Harris also directed participants to attend what she called "informational interviews." In other words, approach the interview with a goal to use the information obtained to support good decision-making. Be assertive and inquisitive, but be sure to get the particulars about the job-duties, hours, and required skills-and send a thank-you note to the employer afterward. Networking is very important and should become a lifetime skill. "If one stops to think about it, one has many contacts in life. It's all about who you know," said Harris. She recommended that job seekers build a list of contacts-everyone they can think of-and then prepare a brief statement about the sort of work they are seeking and the kind of help they require. An action plan with target dates is useful. In closing, Harris suggested that participants visualize their employment scenario: start with the desired end, and then work toward making that vision a reality. Continually self-assess; gather information from as many sources as possible; develop a system to organize the information; stay current about the labour market; and develop skills security. In closing, she wished everyone the best of luck with their labour market research. "How do you choose a mentor?" asked one participant. "And what questions should you ask?" McDonnell responded that, at the outset, mentor and mentee should agree on the length of the relationship (brief or long-term) and the frequency of meetings. After a trial session, the two will be able to assess for themselves whether they are connecting and whether the relationship is working. Either party can then decide whether to opt out. The relationship should be specific and focused, and both parties must know the desired outcome-a mentor is not a counsellor. One participant working in the biotechnology industry said he had never seen his company's value statement regarding people with disabilities. He asked how to research it. McDonnell said that some companies include such a statement in their formal mission or in their corporate social responsibility documents. Another place to look is the company's annual report. Where does it donate money? Charitable and community support is an indicator of values. Is the company governed by employment equity regulations and therefore required to support inclusion? Meta added that a list of federal contractors is available on the Internet. Another participant said that when he had asked a company about its value statement, the response was that it did not have one. McDonnell suggested asking for a description of the accommodation policy and finding out whether a program for people with disabilities is in place. He reminded participants that they are under no obligation to disclose their disability to employers; they must reveal only the accommodations that they need to perform the job. One participant asked what to do when an employer says, "How can you possibly do this job?" How can an applicant determine if they are dealing with a lack of knowledge or with discrimination? McDonnell noted that if an applicant's resumé lists his or her skill set-for example, use of Jaws or Zoomtext-then the employer will know. The applicant can also consider taking a laptop to the interview and asking the employer if the company's technology is adaptable. He reminded participants to make sure that the conversation should focus on the nature of the work. Harris suggested that applicants tell success stories about their accomplishments and prove themselves that way. "It's not your job to educate employers," Meta said. She encouraged participants to learn about federal programs that provide for technology adapted to the employee as opposed to the employer. "What about application forms?" asked a participant. "What about when they ask what disabilities I have? How do I handle that? I don't want to be defensive, but I have to be honest." McDonnell replied that the anti-discrimination sections of the Canadian Charter of Rights and Freedoms are interpreted so as to prohibit an employer from asking about disabilities. In response to a comment that the Victoria job market is restricted to government and employers who do not accommodate, Meta suggested researching non-profit organizations. They have little money for accommodation, and so when a worker leaves the job, that worker owns the device and can take it elsewhere-perhaps to a government job. On the other hand, "every major Canadian company has a desire to hire," said McDonnell. He encouraged participants to form a collective and apply for government grants. "Be creative," he said. "There's lots of funding out there." He named Human Resources and Skills Development Canada and the Business Development Bank of Canada as examples. Meta added that VanCity also gives loans. These suggestions piqued the interest of many participants, one of whom asked about eligibility. Wearing his banker's hat, McDonnell replied that applicants must be creditworthy, must have good standing in their community, and should have researched the grants. Meta warned participants to be careful about the use of the word "grant," though; these programs usually lend money that must be paid back. Ross commented that, because weather is an issue for her, her solution was to create niche knowledge that was highly successful and, at one point, internationally sought after. Ninety per cent of her jobs have come to her because of her niche knowledge-an example of successful networking. Harris reiterated the importance of networking and of being a presence, contributing, being "out there." One participant with epilepsy thought that employment equity applied only to 10 per cent of jobs, because his experience had been so vastly different. He had been released from a previous job "so as not to scare customers away," his employer had said. "That is disgraceful," said McDonnell, "and may even be a case for wrongful dismissal." All federally incorporated companies with federal funds of more than $100,000 and with more than 100 employees must adhere to the Employment Equity Act. McDonnell advised the participant to document the situation, hire a lawyer, and "go after them." Meta agreed. She advised the participant to try to find a witness, to get the statement in writing from the employer, and then to take the issue to the BC Human Rights Coalition. In response to a question about how to achieve better pay and how to find out about salary ranges, Meta said that the national occupational code tables available from Statistics Canada list salary ranges, as does Job Postings, an annual publication available in libraries. It is not always just about the salary though, McDonnell pointed out. Total compensation must be considered: vacation time, survivor's benefits, retirement package, medical plan, and shares. A salary may appear low, but benefits may turn the job into an excellent deal. Ross said that the problem with part-time work is that the employee is responsible for everything, and good packages are nonexistent. Job seekers should therefore look for full-time work with options for flexibility. Ask for a later arrival time, for example, to accommodate problems with fatigue, or ask to work at home one day each week. One participant mentioned several useful resources to look up on the Internet: Salary Wizard (www.salarywizard.monster.ca), Canada Job Futures (www.jobfutures.ca), and BC Work Futures (www.workfutures.bc.ca). Ross next asked each panellist to give an example of good networking. "Well, it depends on your interests," said Harris, "and it can often happen informally." Besides getting out to mixers and shaking hands, online forums are useful, she advised. Dillon, a third-year undergraduate, shared some of her own strategies for networking, she has joined a mentoring program in her faculty and regularly checks out events at her faculty's career services centre. She joined a young professionals group and also gleans job-marketing trends during her attendance at the conferences related to her field of study. She also recommends talking to professors and asking for their perspectives on the job market. McDonnell said that a person's first mentor should help with networking. "One needs social graces to network," said McDonnell. "It sounds old-fashioned, but it's true. Do you speak too fast? Are you shy? How do you shake hands?" He recommended getting feedback and being willing to change. Phillips advised job seekers to let absolutely everyone-neighbours, friends of the family, the mail carrier-know that they are job hunting. They should also explore situations, such as committees, where many other people are present. Being a parent is also an easy introduction to others. "Join Toastmasters. Their feedback is positive and kind, and it's like sitting at a table of mentors," added Meta. Deb Snowden, an area manager with BMO Nesbitt Burns in Victoria, heartily agreed. She related her transformation from shy person who would not even introduce herself in a company meeting, to someone able to rise and speak in front of a crowd. She credited the International Training in Communications Club (initiated when Toastmasters accepted only men) at the University of Victoria. 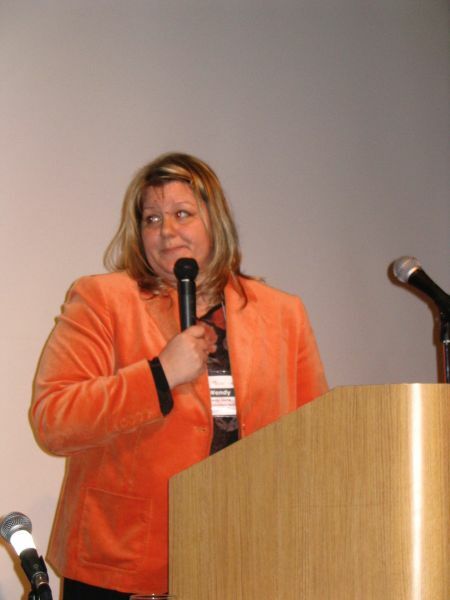 She encouraged participants to join clubs that help with presentation skills. The last question came from a participant who had landed a summer job in 2005 and had received all the tools she needed to work. Yet, when she inquired whether she could relocate to a branch office closer to her home, she was refused and had to forego the job. McDonnell advised her to write a letter to the employer so that she could understand what had happened. He surmised that the duration of the job may have been the problem: accommodating for a job that will last no more than three or four months may have been too challenging for the employer. Nevertheless, some employers are giving out GPS devices, and so the future is hopeful. Miles Stratholt works in his field at the Fish and Wildlife branch in the British Columbia Ministry of the Environment. He holds a BA in biology, spent a year working on pollution prevention, and served at the Environmental Enterprise Centre. He earned his masters degree in the biology of salmonids at the University of British Columbia (UBC). Stratholt encouraged students to pay attention to the job market while still taking courses. "Don't wait until you are out of school," he said. He recommended participating in co-op programs, networking, and volunteering to develop skills and gain experience on which to build a resumé. He said that his volunteer experience at Pearson College of the Pacific, west of Victoria, was helpful when applying for jobs after graduation. Stratholt reminded students to look at financial opportunities provided by scholarships. He himself won a Rick Hansen Graduate Fellowship from UBC. He said that a good place to find scholarships is in one's own field of study. "It's stressful enough looking for a job after graduation; it's worse with a student loan to worry about," he said. Stratholt said that everyone is familiar with the challenge of finding work with no experience, or conversely, of getting experience without work. He reminded participants that volunteer positions can be counted as work experience on a resumé. He suggested that, after graduation, students look for opportunities with local, provincial, and federal agencies that have programs tailored for people with disabilities. Stratholt began his career working in a disability centre. The six-month contract earned him experience that helped him to secure work in private consulting. The consulting was, in turn, a stepping stone to his current position. His first job was not what he was looking for, but it did help to move him along in his career. Stratholt recommended treating an employment search as a full-time job. Use the skills developed at college or university for doing the research. He reminded participants not to become discouraged. They should remember that, having made it through post-secondary education, they have abilities that they can count on. The availability of information today makes it much easier to contact people and find employment, Stratholt continued. Flexibility of approach is important. A career needs to start somewhere, and any job provides opportunities to make connections that will pay off down the road. Stratholt said that a good resumé will highlight the skills and experience applicable to the position a person is seeking. There should be something that provides the edge needed to compete successfully for a job. Stratholt added that the cover letter needs to be tailored to catch the eye of the person doing the screening. The screener will not be the person who is doing the interview. The person screening resumés looks for key words that confirm that an applicant fulfills the requirements of the job. He emphasized that applicants must be prepared for interviews. They should approach the subject matter just as if studying for an exam. An interview is both a hurdle and another experience. "Being positive goes a long way in an interview," he said. A job seeker needs to admit that an unfamiliar subject is something that he or she "looks forward to learning more about." Stratholt's final piece of advice was "Don't be afraid to challenge yourself. Tax your limits a bit." As a Habitat Protection Officer his job required onerous physical work that challenged his disabilities. He said that success does not come easily, and a willingness to push to achieve high goals is a must. Carrie Moffatt is studying Applied Communications at Camosun College in Victoria. Her 20-month diploma program explores many areas of media, including television, radio, writing, and photojournalism. She has a BA in political science and environmental studies, and she previously worked at Pacific Sport in Victoria for two years. Pacific Sport provides administrative support and development programs for athletes in many of Canada's high-performance sports. Moffatt came to the forum to share her tips on tackling the job market. She started her presentation by talking about her disabilities. Her hearing has been impaired since birth. She needs hearing aids, and she also lip-reads. At age 16, she began having vision problems, since identified as a degenerative eye disease. Moffatt emphasized the importance of knowing "where you are going and why you are going there." Reflect on the tough questions, she told the participants. She suggested writing these thoughts in a journal and discussing them with trusted family or friends. Learning comes from taking risks, she added. Moffatt took two years to explore what she wanted to do and found that this investment of time helped her to make her choices. Planning to attend law school, she conducted research, read course descriptions, and worked as a legal assistant for four months. That effort helped her to realize that she did not want to be a lawyer. She then changed her focus to communications. Moffatt keeps a database of jobs she would like to do. She highlights the job requirements and then sets out to acquire the necessary skills. "[The database] gives me a road map to follow," she said. She counsels students to choose carefully so as to avoid dead-end positions. Participants should think about where they would like to go and how much they would like to be paid. "People need to assess their needs-whether it's a regular work week with benefits, or something with more flexibility, or a job that just pays the bills." Focus, and be realistic about jobs that you cannot do or do not want to do. Moffatt suggested taking time while still in school to have some fun, to explore volunteer work, or to spend some time traveling. As a youth intern, she spent four months in Southeast Asia away from the pressures of home, and she also took advantage of an internship to work in Costa Rica. She emphasized that many such opportunities are available. Moffatt also warned that "a degree isn't going to get you a job, and neither is your disability a ticket." Knowing people is crucial, she said, especially in a city like Victoria. She does not like the word "networking," she said, but it is something that has to be done. Her networking includes telling everyone what she is doing. Her parents tell their neighbours and friends. One of those contacts had a friend who was starting up a radio program; might Moffatt be interested in working on the project she was asked? Moffatt recommended that students consider correspondence courses and diploma programs that have a narrower focus. She focused on the field of communications and found a niche in which interested employers were hiring. Moffatt said she visits three to five job search engines daily, even while she is working. It is always good to see other jobs that are available and how much they pay. She recommended sites such as Workopolis (www.workopolis.ca), the BC government site (www.gov.bc.ca), and www.jeffgaulin.com, a service for communications specialists. Moffatt advises students to "get out of your element." Her first radio appearance was nerve-wracking, but it was helpful for developing new skills. She also said that her disability provides a compassionate and understanding perspective and a different way of interpreting information. She can identify with seniors because of her hearing and sight disabilities. "I kind of feel like I'm 85 years old sometimes," she said. Moffatt told the audience to remember that able-bodied people have challenges and weaknesses too. "The level of comfort that you have with your own disability will be reflected in the comfort that other people have with you," she said. How can society change or become more accommodating if people continue to hide their disabilities? She said that disabled people have to be more open about their disabilities so that other people can learn to be more open-minded. Moffatt concluded by reminding participants that there is no shame in not wanting to settle for an unhealthy workplace. People should ask for what they need. 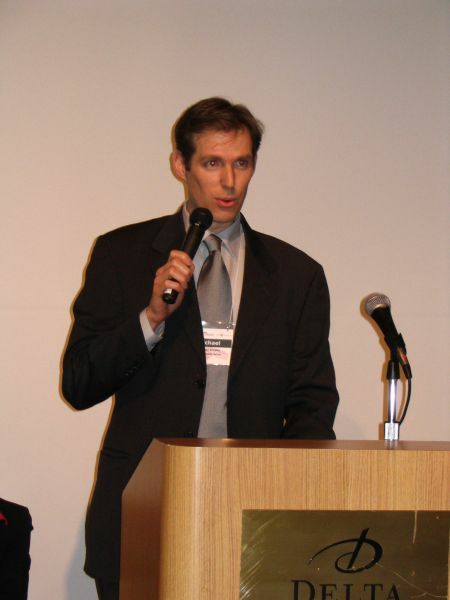 Besides being a NEADS vice-president, Jason Mitschele is the Ontario representative on the NEADS board of directors. He practices law as a federal prosecutor in Toronto. Mitschele said that his presentation would provide background on NEADS and some of its initiatives, and then he would introduce the NOWS (NEADS Online Work System). NEADS was founded in 1986 at Carleton University in Ottawa as a national consumer-based cross-disability organization. It advocates for access to post-secondary education and employment opportunities. The organization's activities include research and information gathering about financial aid for students with disabilities. It also works to expand opportunities for extracurricular activities. Mitschele said that the organization also hosts an electronic mail list for discussing disability issues. 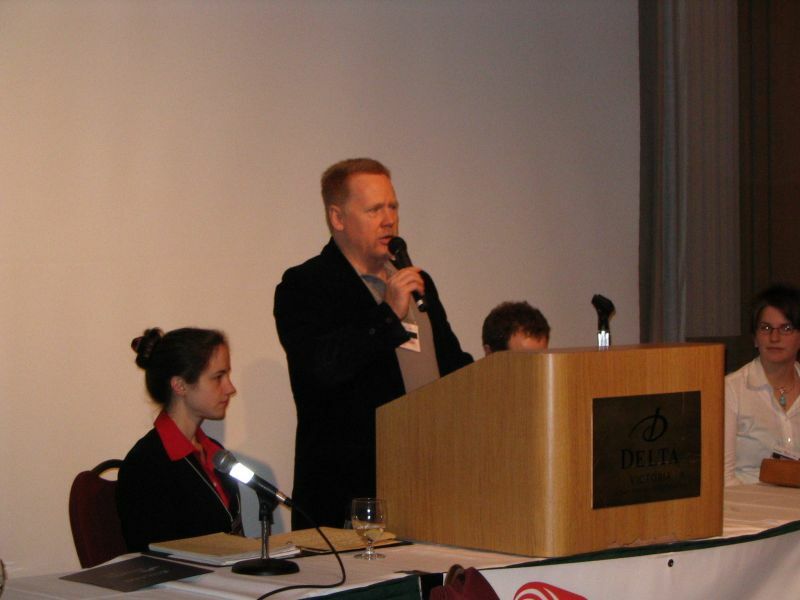 NEADS holds a conference every two years. In 2006, the organization is celebrating its 20th anniversary, and the conference-titled Creating Our Future, On Campus and Beyond-will be held November 10-12 in Ottawa. Mitschele explained that NEADS began mentorship programs in 1996. Leadership and employment forums developed from those programs and are being held across Canada. The forums are focused on providing advice about finding jobs. NEADS has also developed guides for students with disabilities who are seeking employment and for employers. The NOWS web-based job search service was established in 2003. The site operates much like Workopolis or Monster (www.monster.ca), but is smaller and focused on the needs of students with disabilities. It is free of charge for students, employers, and recent graduates. Mitschele explained that the site was established to allow students with disabilities to search and apply for jobs online and to upload resumés and cover letters for employers. The site gives employers an opportunity to search for employees by job or skill set, or by province or city. At the beginning of February 2006, more than 960 students and 53 employers representing 14 different industries were registered, and every province, plus Yukon Territory, was represented. Mitschele said that the top industries registered with NOWS were government, non-profits, advertising and public relations, and banking and financial services. Most jobs were in administration and office help and in education and training. Mitschele said that he wants to see the NOWS registration numbers increase. The service has come a long way, but is ready to expand further. He encouraged students to try the site and to provide feedback about it to NEADS. The first question came from a participant who asked about interviewing for a job with an employer who is not familiar with a specific disability. What would be the best approach during the interview? Dillon said that the need to make arrangements in advance of the interview could be useful in gauging the employer's familiarity with accommodating disabilities. She said that the response might help the job seeker to decide how much more to disclose. She added that another opportunity would arise at the end of the interview, when the employer takes a turn at answering questions. That could be an opportunity to offer information on how adaptive equipment works. It also allows the interviewee to explain how he or she can perform the required job duties. Mitschele said that his CV helps to tell employers about his disability. 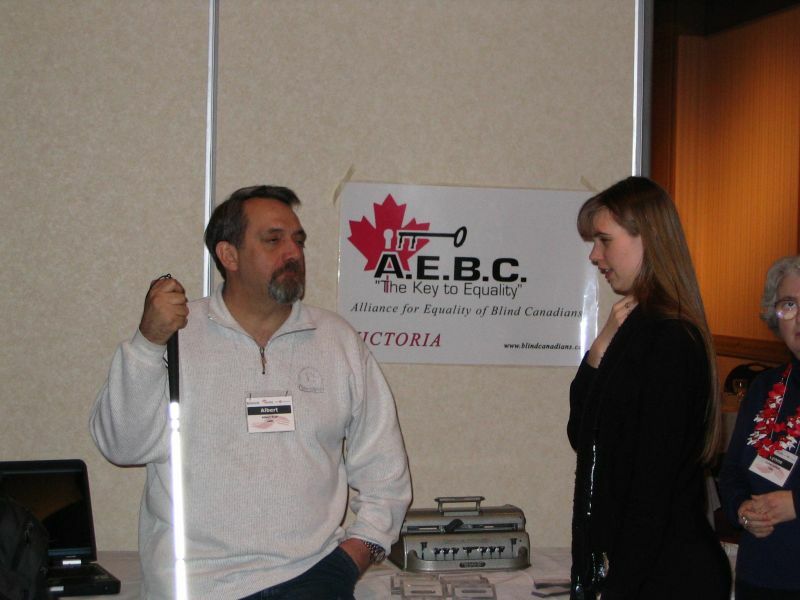 He has worked frequently with the Canadian National Institute for the Blind and with NEADS. That background should tell employers that they are dealing with a person who has a disability. He said that sometimes, it can be useful to outline a disability in a cover letter. Mitschele echoed Dillon's comments on arranging an interview. Giving instructions about accommodations will often reveal a disability. When Mitschele asks about allergies because he is bringing a guide dog to an interview, the employer understands his disability. Often, he said, the employer asks about needs, and everything flows from there. Moffatt said that she struggles with this issue frequently. If she is having trouble with hearing at an interview, she'll tell the interviewer, "I have a disability, can you please speak up." She does not usually add that she also has difficulty seeing, but this additional disability can be an issue in the workplace. She might need the employer or her co-workers to remember certain things, such as keeping lights on. Stratholt said that his disability is obvious, and he needs to be prepared to answer questions about accommodations in the workplace. Another woman asked if NEADS has programs that educate employers to increase awareness of disability issues in the workplace or to help them meet the needs and expectations of employees with disabilities. Mitschele said that NEADS does not yet have a specific program, but that holding forums also attended by employers is helpful. He said that NEADS would like to do more, and depending on funding, it would be good to hold workshops targeted to employers. "It's a great idea," he said. Dillon spoke about the program called WorkAble Solutions (www.workablesolutionsbc.ca) that has helped many employers better understand equity issues and job accommodation needs. A participant asked Stratholt about access to scholarships and other funding sources. She said that she needed to be creative to finance her education. She wanted to know about other ideas that work. Stratholt said that he looked for funding through the BC Paraplegic Association (BCPA), and that he researched other opportunities. 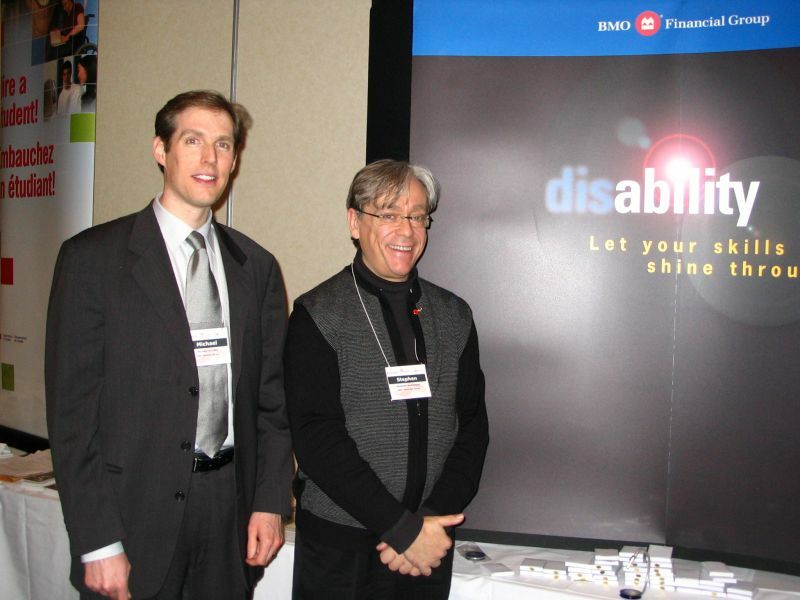 Good starting places for finding out about funding sources are the BCPA and any of the disability organizations. Dillon added that the NEADS website lists specific scholarships and grants by sector or by province. Relevant disability organizations at colleges, universities, or organizations specific to a particular field often have information about scholarships. Moffatt recommended that students seek out the financial aid office at their college or university. More information about programs and bursaries is typically available there. She also suggested looking in disability magazines or searching the Internet. One participant suggested that grants are available from organizations or programs established for war veterans, who often returned home with disabilities. Another said people should contact local service clubs such as Rotary, Lions, or Kinsmen, that often administer their own bursaries. Dillon next instructed the participants to break into small groups. She then gave each group questions and tasks to complete. Dillon asked the participants to develop a job search strategy, to practice promoting their skill sets, and to build a "top ten" list of networking strategies. She recommended focusing on three skills to highlight during an interview. Each member of the group took a turn describing the skills that they believed set them apart. They cross-examined each other to help focus on the personal assets that had to be presented in an interview. One participant said that his first-aid training was important to his work as a personal trainer. He also said that he had "content" to sell: the specialized knowledge that is an essential qualification for any job. Another participant cited her knowledge of career development as an asset she could promote. Another emphasized her abilities organizing and working with teams. Career counselling was one of several skills presented by another group member. The discussion of networking strategies revealed various challenges and perspectives. One participant said she knew what she should do to network successfully, but her visual disability made her shy. Another told of how she had developed a strategy of simply walking up to people in gatherings and introducing herself. The advice to volunteer was repeated yet again as a good strategy, but one participant joked, "You can do anything for nothing in Victoria; it's getting paid for it that's a challenge." The group turned next to brainstorming their networking strategies. Participants generated ideas such as being patient and being visible. They also agreed it was good advice to join disability associations and organizations or to focus on a particular field of work or study. One participant reminded the group that finding work is a key objective of networking. Letting people know about your objective is important. "If no one knows you are looking for work, they can't help you," she said. A Leisure Sciences graduate joined recreation associations while she was a student. There, she cultivated useful contacts among students and professionals alike. Mitschele reminded participants of their opportunity to attend the NEADS 20th anniversary conference, November 10-12, 2006, in Ottawa. The theme of the conference is Creating Our Future, On Campus and Beyond. Mitschele thanked the conference series sponsors, and especially BMO Nesbitt Burns for subsidizing some of the student attendees. Mitschele said that an online survey would be distributed within a week, and emphasized that the survey would be totally anonymous. The survey asks what participants liked and did not like about the forum. Mitschele said that all suggestions are important and will be taken into account to help make improvements in the organization, the format, and the content of future conferences. Dillon first reinforced Mitschele's request that participants make sure to complete the conference survey. With several forums still to come, participant feedback is very important to the project, she said. In her closing remarks, Dillon expressed her hope that the forum participants would take away ideas about how to better plan their job search strategies. She suggested that they heed the advice to develop individual "success teams" that will help them develop and test their strategies. She added that some of the day's discussions should also be useful in developing a comfort with disclosure that is critical to helping employers become more comfortable in dealing with people with disabilities. Dillon said that learning about specific labour markets for people with disabilities will help participants much more than a general search would, possibly making a large difference in the success of their efforts. Dillon repeated the point made by Stratholt: finding a job should be a full-time pursuit. "When you wake up, you have a job", she said. She added that they should be willing to invest the kind of time and effort that they would expect to put out for a job. In addition, said Dillon, forum participants should remember to prepare for an interview as they would for a college or university exam. They need to spend time researching companies or employers. Employers will notice and respect the effort. Dillon reiterated the importance of developing a focus, and she suggested that participants be clear about the type of future they are interested in. Why they are going down a particular road? This sort of clarity is especially important when networking. "Some people say that they just want a job, but when you are networking that doesn't really help," she said. Dillon also reminded participants of the advice offered by Moffatt: participants should keep looking at job postings that attract their interest so that they can determine the needed skills and set out to acquire those skills. Dillon said to her audience that they should be willing to take risks. "You can learn a lot from knowing what you don't want," she said, adding that determining one's dislikes can help create focus. Dillon then emphasized the importance of networking. A useful thing to remember is to approach the situation with a helpful attitude. Talk to people; find out what interests them. "Networking is a two-way street" that requires a willingness to be helpful to others. Cultivating that willingness will ensure that help will be available down the road. Dillon concluded by thanking participants for attending the conference and engaging in the discussions. She suggested that, after the close of proceedings, everyone take the time and the opportunity to do some last-minute networking with other participants, with presenters, and with exhibitors.